Our courses are accredited and offer up to 8 AMA PRA Category 1 Credits™. We are the world's leading online based ACLS, BLS, and PALS provider that offers Category 1 Credits. Our courses are accepted in all US jurisdictions and in over 80 countries. Our course is 100% online with an optional skills evaluation (if desired or required by your employer). Take the exam on your schedule! The certification courses have been redesigned to conform to the latest recommendations of the American Heart Association. 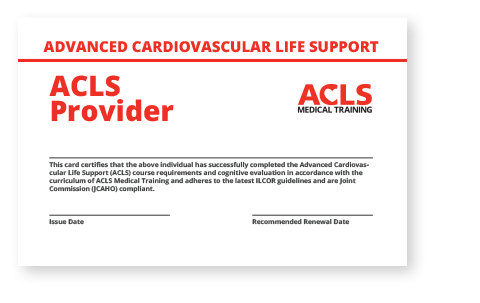 We guarantee the ACLS Medical Training provider card will be accepted worldwide and offer a 60 day 100% money back guarantee. After passing the exam, you will instantly receive your provider card via email! You will also receive your hard copy card by mail. You can retake the exam as many times as you need until you pass (though most of our providers pass on the first attempt). The Advanced Cardiovascular Life Support Course is crafted to instruct healthcare professionals who provide care during respiratory and cardiovascular emergencies such as cardiac arrest, pulmonary arrest, myocardial infarction, and stroke. Most hospitals, medical centers, and group practices require all staff to at least have BLS certification and many require ACLS certification, in addition. Our Advanced Cardiovascular Life Support Course (and those from the AHA), provide training on virtually every aspect of acute resuscitation. The examination requires knowledge of ACLS that may be beyond your practice parameters. For instance, nurses who take the ACLS examination will be expected to know the proper medication for a given situation, even though the order will likely come from a physician. The American Heart Association and our professionals agree that anyone responding to a code blue should have the same basic knowledge set. Responders and providers should be able to work seamlessly as a cohesive team during this critical, stressful time. ACLS certification is valid for two years. Certification renewal is required to stay current with advances in resuscitation science. Click here for CME Information for all courses. Is your course accredited and will I receive CME’s? Yes! We are proud to offer continuing education credits for our learning activities. All courses provided by ACLS Medical Training are accredited by Postgraduate Institute for Medicine and offer AMA PRA Category 1 Credits™ (including ANCC, ADA, and ACPE accreditations). If you are certifying for the first time, we offer eight (8) continuing education credits. If this is your bi-annual renewal, we offer four (4) continuing education credits. Simply pass our examination with a score of 80% or higher and you will receive the appropriate number of continuing education credits. How do I know your certification card will be accepted by my employer? We guarantee your employer will accept the ACLS Medical Training provider card. To date, we have a 98.7% acceptance rate. The ACLS Medical Training courses are physician created, adhere to the latest AHA guidelines, and accredited for AMA PRA Category 1 Credits™. While unlikely, if the provider card is not accepted by your institution or facility, simply email us through the Contact Us page anytime within 60 days of purchase for a prompt and courteous refund of your entire course fee. How long does it take to receive my provider card? You will be able to print a copy of your provider card immediately after passing the certification exam, and we will mail your hard copy provider card via USPS First Class mail. Depending on where you live, your hard copy will arrive in 2-5 business days. Is your course 100% online? Do I have to complete a skills test? Our course is 100% online-based and you do not have to complete a hands-on skills test to complete any of our courses. Your question is an important one. When the physicians at ACLS Medical Training were creating our curriculum, they decided a hands-on skills test on a mannequin is not critical for a continuing education course. These tactile experiences cannot be duplicated in a skills course—they can only be learned through practice in the field, which comes as part of your clinical training. Therefore, our program does not require a skills test. Instead, you must demonstrate that you have mastered the didactic material by passing the examination. If your employer specifically requires a skills test, we can provide the appropriate documents for you to get checked off locally (separate from our organization). Will I receive an American Heart Association card? Our logo is on the top of the card as ACLS Medical Training is the organization who created the curriculum. The card you receive will say on the front that this course follows all American Heart Association guidelines. 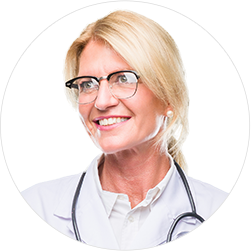 Our team of medical professionals will guide you through the entire process, making your training and certification process fast and convenient. Immediately upon passing your exam, you will be able to download a printable PDF provider card. We will also mail a hard copy of your card within 3-5 business days free of charge. 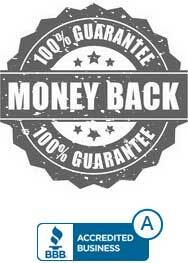 We guarantee your employer will accept our card or your money back.